The Kerouard Islands (map link) are at the southern extremity of Haida Gwaii. These islands are classified as an Important Bird Area (see this link for more information) due to significant populations of various species. 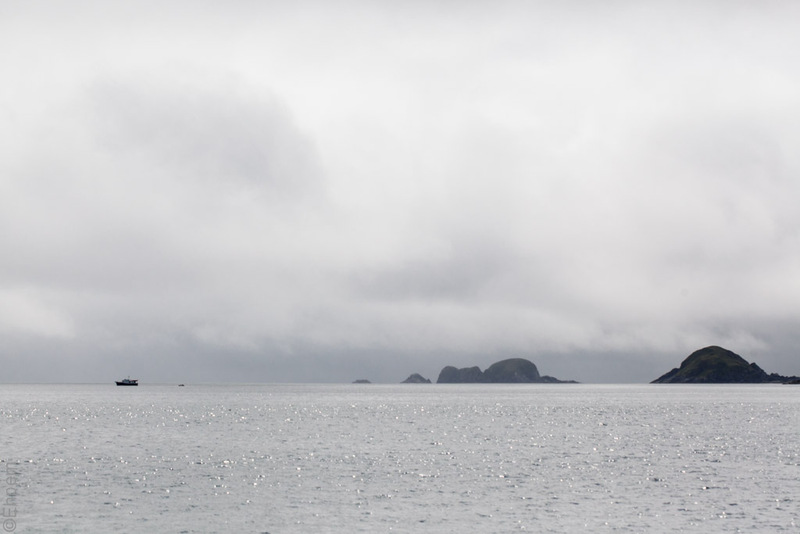 While on the Passing Cloud we crossed through the gap between Cape St. James and these islands on our way around Kunghit Island.